So I will try and live up to her example by sharing as lucidly as I can the characters in my own novel, Eve’s Garden. 1. What is the name of your character? Is s/he fictional or a historic person? 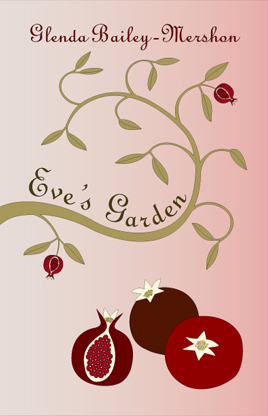 Three fictional characters tell us their stories in Eve’s Garden. Evangeline is a young Romani woman who is forced by circumstances to marry a stranger, an outsider, and to leave her community. Her daughter, Maisie, grows up in a place where she, like her mother, will always be considered an outsider. Maisie’s daughter, and Evangeline’s granddaughter, Eve, knows little about her grandmother or her heritage, but she, too, feels like an outsider for a wholly different reason: She is a shy, very smart girl in the latter 1950s, an era when “nerd girls” were not so valued as they are today. Evangeline’s family has been torn apart by the social and political forces that led most Roma to keep their existence secret in earlier times (And some still do). In her new community, she will always be an outsider, though she becomes essential to the neighbors as a midwife and an herbalist. To some few, she becomes a much-beloved confidante. Maisie has a secret about her mother that she cannot bear to tell, even as she becomes the mainstay of her own family. Her grief for her parents makes it hard for her to connect with her daughter, Eve, whom she loves and nurtures without quite building total trust. In the absence of an understanding with her mother and her aunts, all of whom speak a language she does not understand, Eve clings to a close friendship with her friend, Beverly, whom she imagines is never overwhelmed, even by boys seeking her attention. When a traumatic event causes Eve to lose her connection to Beverly, she wants nothing more than to flee the town where she was born for places where she thinks a smart young woman can find a home: New York, Paris, the whole wide world. She finds a way––a way that perhaps the reader might not expect––but her mother’s illness calls her back to stay. Eve becomes a teacher and finds a romance that makes her literally weak in the knees. Yet how can she stay where she and her family have felt so unwelcome? What role can she play among townspeople who value agile hands more than an agile mind? Her grandmother Evangeline’s one goal was to brace her children for the task of finding their home in the world. How can Maisie share her teachings when she can barely speak her name? Finding out what happened to her grandmother has been a preoccupation for Eve since childhood. She didn’t dream that what she would learn would also help her find the friend she thought she’d lost and help her face up to her own destiny. In the end, Maisie will find a way to share her burden and Evangeline’s legacy will come to light. In time? Depends on if you like a happy ending. Eve’s Garden. There is a more about it on my web site at http://www.glendabaileymershon.com. Also, the first print review is out at http://rockrivertimes.com/2014/06/18/literary-hook-eves-garden-debut-novel-by-glenda-bailey-mershon-a-masterpiece/. Our official publication date is September 22, 2014. It’s available now for preorder at https://twistedroadpublications.com/eves-garden. I would very much like to introduce you to my friend and inspiration, the wonderful prose writer, Shobha Sharma. Shobha came to the USA with Chemistry on her mind. However, raising two little boys here changed her career path to take Spanish classes in the evenings and work with immigrant communities teaching English as a Second Language for many years before directing parent and student programs in the Chicago Public Schools. She started writing in the early ’90s and has published several of her short stories in different magazines and with publishers like Hachette and Tall grass Publications. She also joined Janes Stories Press Foundation(JSPF) and some of her stories were published by them. She is currently the President of JSPF and is trying to publish her novel, “Desis at Home.” I can’t wait to read it!